What is Starbucks Reserve Coffee? The Mega Fashion Hall opened last January 28, 2014 as a premier shopping, dining, and lifestyle destination. And now, as led by top food blogger Anton Diaz of Our Awesome Planet (RJ Ledesma had other commitments that night), our group of 22 and some folks from SM Megamall didn’t waste any time as we started immediately by 6pm. Our first stop should have been Tim Ho Wan but the customer lines overwhelmed the restaurant so we went to Cinnabon and Bono Gelato first. Generally, we started with desserts at the first floor and went our way up to the 3rd floor where most of the entrees were found. 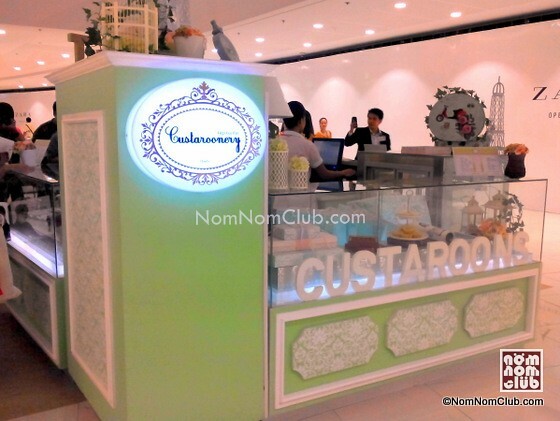 In between, we stopped by Custaroonery at the second floor and ended with more desserts at the fourth floor. Amidst the 4 hours of eating resulting to food coma, I was still able to digest and analyze those which fancied the interest of our tastebud. 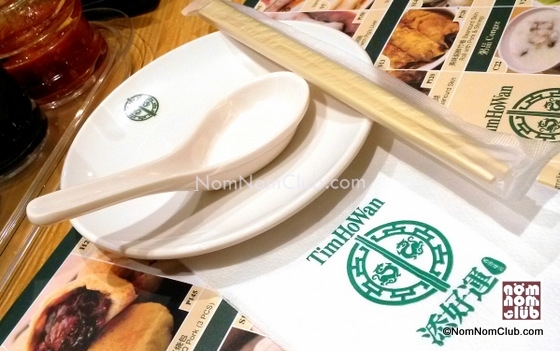 A Michelin-starred restaurant brought to Manila by entrepreneur Mr. Rikki Dee, Tim Ho Wan is a Hong Kong restaurant best known for their “Pork Buns” (top photo). 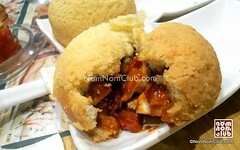 You can find it in the Tim Ho Wan menu as “Baked Bun with BBQ Pork“. A set of 3pcs. costs Php 145 or almost Php 50 each. 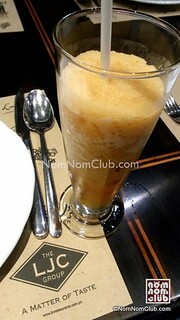 Other dishes you could also order are the the traditional Ma-Chang and Dumpling Teochew Style (3 for Php 120). Artisanal gelato made fresh daily. No preservatives, colorings, and artificial flavorings. What more can you ask for? 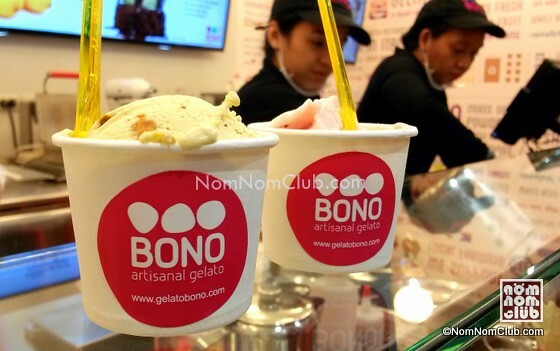 Try Bono Aertisanal Gelato Pistachio flavor, it’s my favorite! I was also able to try their strawberry flavor which is more tangy than sweet (which is good), ube, and the highly recommended dark chocolate. 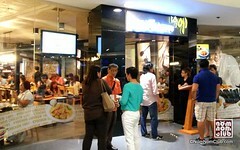 Known as best Korean fried chicken in South Korea, KyoChon is now in the Philippines. Although a late comer compared to other brands, KyoChon prides itself with the quality of their food as embodied in their 3 promises to their customers. KyoChon also serves only the freshest ingredients and cooks your food only upon order (not fast food). 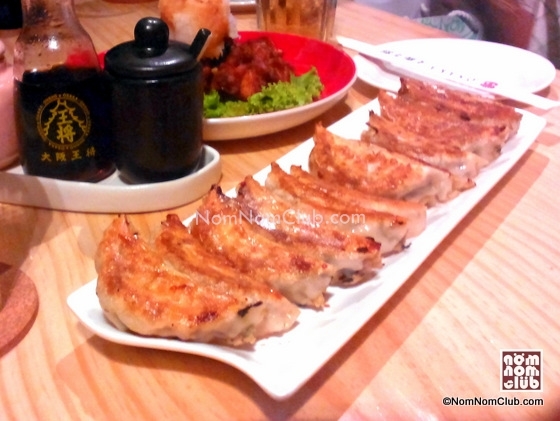 Their flagship product – the Korean fried chicken – comes in original, garlic, and spicy variants. Love custards? Love macaroons? Why not combine ’em both and you have the best of both worlds in a “Custaroon” specially made by Gigi! 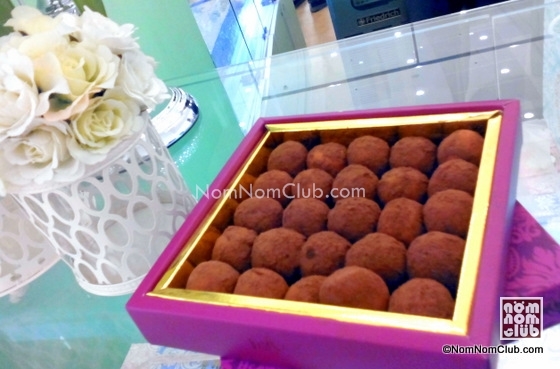 I have personally tried them myself recently and it was truly a sweet treat. 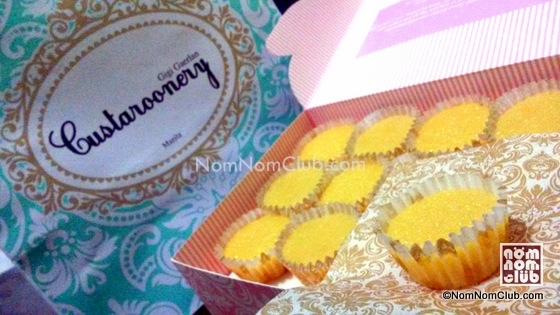 Surely it would be a hit with Filipinos who loves sweets and always expects some desserts at the end of a meal. They also have a chocolate covered custaroons at Custaroonery. 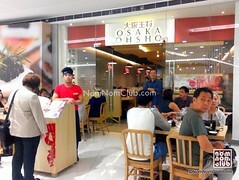 Japanese cuisine will never be missed in Osaka Ohsho. I got try their gyoza and Chicken Karage and I was immediately sold. The restaurant interior also utilized modern Japanese style in terms of design. Don’t forget to try their Gyoza, ok? They even have cheese gyoza! 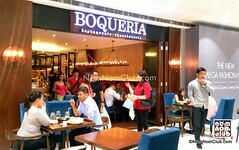 Authentic Spanish cuisine has found a home in SM Megamall‘s Mega Fashion Hall. Have a taste of Spain in Boqueria and experience Spanish fusion as their ingredients are mostly imported while their chorizos are homemade. 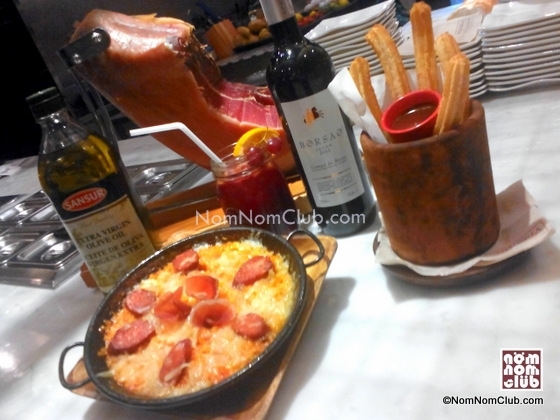 Do try their Paella Queso Hamonado and Sangria! 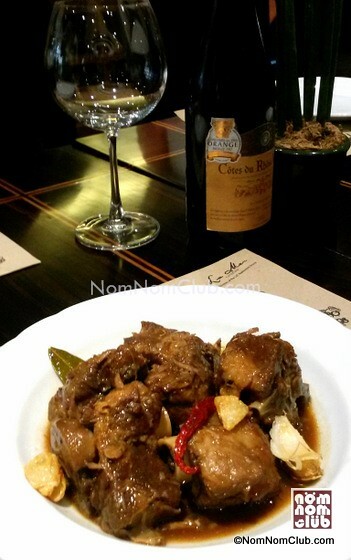 You can hardly go wrong with your orders in specialty restaurant Abe. Your tastebuds won’t be disappointed as you can taste in their food that the Classic Filipino food you ordered was prepared with love and care the Filipino way. We had their Lamb Adobo as one of the main entrees we had that night and it was awesome. 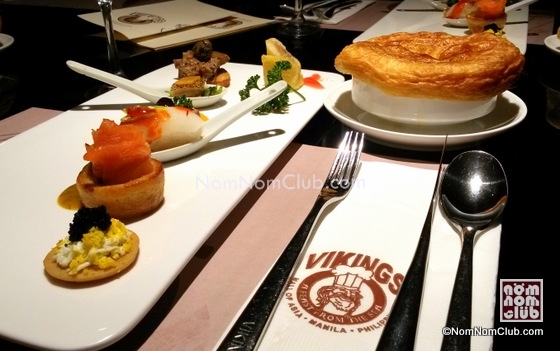 Vikings has elevated the common fare buffet into something premium and has taken the industry by storm as it opened multiple branches in a short span of time. 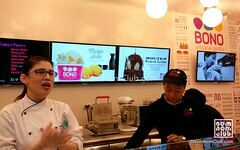 And now they are in the SM Mega Fashion Hall as one of the Mega Food Tour highlights. In the tasting plate, we were treated to a number of their special dishes including Foie Gras. They are one of the few buffet restaurants in the Philippines I know that has Foie Gras in their line up, aside from Spiral in Sofitel Manila. No wonder they are known as a “luxury buffet“. I have been a long-time customer of Pinkberry since a few years ago. 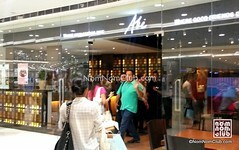 They started with their flagship store in Makati and has expanded to about 4 or 5 branches today including Alabang. 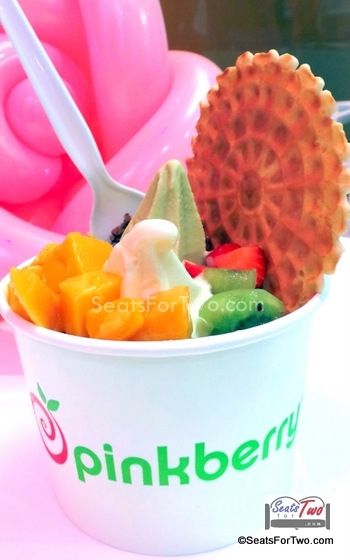 And we’re just so happy that they now have Pinkberry SM Megamall. It’s now nearer to our residence in Quezon City. 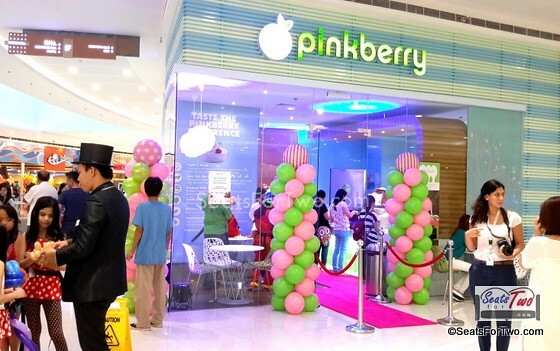 You can find Pinkberry at the top floor of the new Mega Fashion Hall near the SM Ice Skating Rink. 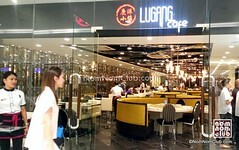 Lugang Cafe is one of the best Chinese-Taiwanese restaurant around. I can still remember our funny experience with their gigantic ice desserts which surprised us sometime a year ago in their Mall of Asia branch. 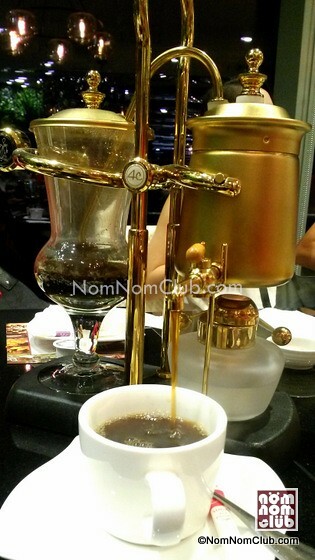 In this food tour, drinking from their Arabian Coffee maker (which was said to be used by royalties centuries ago) alone was enough to make the experience memorable. 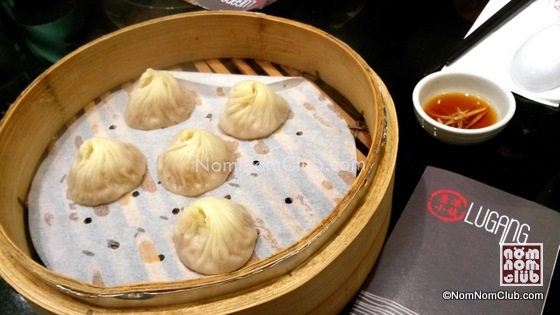 You can also try their Pork Xiao Long Bao and get your dimsum fix. The other participating restaurants were Chez Karine which had us try their yummy Muscovado Pudding, Cinnabon with their original Cinnabon Roll, tea time at French Baker‘s Salon de The, 8 Cuts, Bocaditos from Baked by Anita (which we missed because we exceed the 10pm cut-off), and Gruyere Quiche from Lucca Bakery. 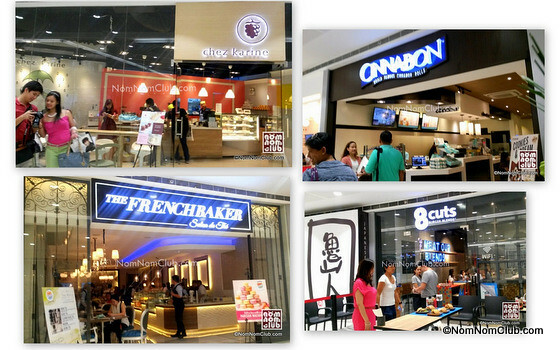 You also have a chance to join the next Mega Food Tour at the new Mega Fashion Hall organized by SM Megamall this upcoming May 31 and June 7, 2014, 3pm onwards. Simply post your dining experiences from among any of the participating restaurants in your Instagram account and tag @SMMegamall with the hashtag #MegaFoodTour.